It all started with the idea of being able to publish model data from our modeling tool, innovator. The initial seed of thought soon began to grow and we wanted to develop a portal for collaborating, analyzing and logging process data. 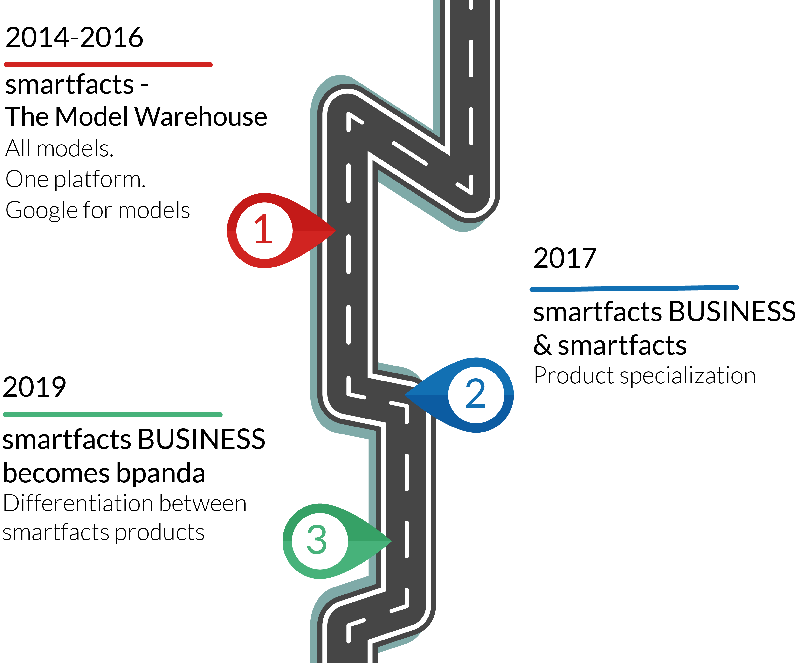 We created smartfacts – The Model Warehouse, a platform that allowed employees within a company easy access to all corporate model information. This laid a good solid foundation, but we were far from finished with the product development. Our ever increasing capabilities led us to the crossroads where we decided to separate technical and business-oriented aspects of our product. This led to the birth of smartfacts and smartfacts BUSINESS so that systems engineering and process management could both be optimized with a tool dedicated to their specific needs. The concept of collaboration was still an important aspect of both products. smartfacts was focused on interoperability and integration of various tools and interfaces, whereas smartfacts BUSINESS was the platform for pragmatic process documentation which actively integrated all employees in the company’s process design. These very similar names made it hard to separate communication about the different tools, which is why we decided to rename smartfacts BUSINESS and call it bpanda. We are now taking the BPM market by storm with bpanda – the process portal for efficient collaboration within a company. b(e)panda! More than 35 years of experience, 140 specialists, tailor-made methodologies and powerful products are what make MID one of the leading providers of modeling solutions. MID’s expertise can help companies from a wide range of sectors with Business Process Management, Business Intelligence and software development life cycles.